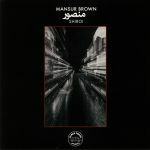 Review: If you don't yet know Mansur Brown, you soon will. Previously best known for playing guitar on Yussef Kamaal's "Black Focus" album, Mansur is a 21 year-old prodigy with a huge future ahead of him. For proof, just check "Shiroi", his debut album. Built around his virtuoso guitar playing - a fusion of the psychedelic intensity of Jimi Hendrix and the smooth bliss of jazz greats like George Benson and Pat Metheny - the set's eleven sparkling tracks variously mix and match elements of dub, instrumental hip-hop, broken beat, jazz-funk, beat-free soundscapes and hazy, suitably horizontal downtempo grooves. The results are uniformly excellent. 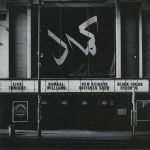 Review: Kamaal Williams has described The Return, his debut solo album, as "a natural evolution from the Yussef Kamaal project". Yet while that was made in collaboration with drummer Yussef Kamaal and played around with jazz in its myriad forms, The Return sees the man sometimes known as Henry Wu stamp his own mark on proceedings. So while "visionary jazz" (as the press release puts it) is his aim, this manifests itself in a range of ways. Contrast, for example, the leisurely jazz-funk flex and stoned feel of opener "Salaam" with the more groove-driven, dancefloor vibes of "High Roller", where sinewy strings tumble down over hip-hop influenced live house beats, meandering Herbie Hancock style synths and a superb bassline. Next online in 8 hrs 9 mins.